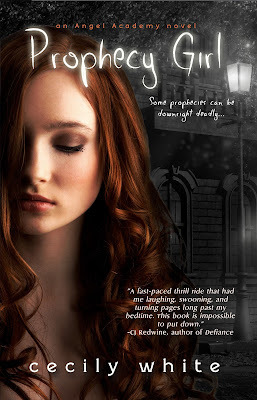 Jaime | 9:00 PM | Angels | blog tour | Cecily White | Demons | Entangled Teen | Giveaway | Nephilim | Paranormal | Prophecy Girl | Vampires Please comment! Fiktshun | 3:15 PM | Balzer + Bray | Elizabeth Norris | Tour Schedule | Unbreakable Please comment! Hey everyone! We are super stoked to announce the tour schedule and hosts for the UNBREAKABLE Blog Tour. There were so many amazing bloggers who signed up and we wish we could have chosen everyone who is as big as fan as we both are for author Elizabeth Norris' amazing series! The tour runs for two weeks - April 15th through 19th and April 22nd through 26th - with one stop per day. And the tour will consist of reviews, guest posts and interviews. There is also a wicked awesome giveaway for a prize pack and individual books (US only) shared across all tour stops via a common Rafflecopter. We are so excited for the release of UNBREAKABLE and for the start of this tour next month. We hope you stop by and check out all the stops to learn more about this second and final book in the series and about its amazing author! UNBREAKABLE is the awesome follow-up to Elizabeth Norris' UNRAVELING. Its release is slated for April 23, 2013 so we're super excited to host this tour in anticipation of its release! Jaime | 3:42 PM | Angels | blog tour | Cecily White | Demons | Entangled Teen | Giveaway | Paranormal | Prophecy Girl | Vampires Please comment! Hey everyone! 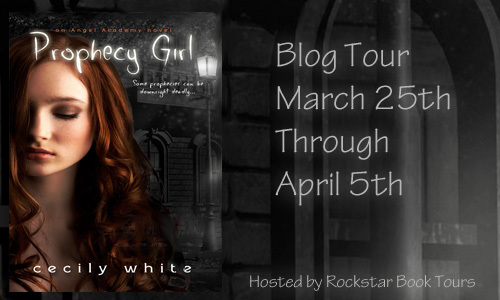 Oh my gosh we are so excited to announce the upcoming tour for Cecily White’s PROPHECY GIRL which will be coming in April! PROPHECY GIRL is the first book in the author's ANGEL ACADEMY series. The tour will run for two weeks - March 25th through April 5th Mondays- Friday’s only. There will be two stops per day, and the tour will consist of reviews only. ******UPDATE***** the tour has been changed to ONE stop per day. So only 10 bloggers will be on this tour not 20! There will also be an awesome giveaway, of three eBooks of PROPHECY GIRL (International) all tour stops via a common Rafflecopter. If you'd like to be considered to be a stop on this tour, please first sign up as a tour host and then fill out the sign-up form. Sign ups are CLOSED. PROPHECY GIRL is the awesome beginning to Cecily White’s ANGEL ACADEMY series. Its release is slated for April 23, 2013 so we're super excited to host this tour in anticipation of its release! Jaime | 2:17 PM | blog tour | Chosen Ones | Dystopian | Entangled Teen | Giveaway | Naturals | Tiffany Truitt Please comment! Hey everyone! We are so stoked to be able to announce the tour schedule and hosts for Tiffany Truitt’ NATURALS Blog Tour coming this March and April! 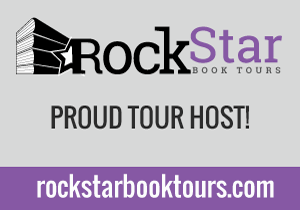 The tour runs from March 25th through April 5nd with 2 stops per day and will consist of only reviews of NATURALS or Book 1 in the Lost Souls Series CHOSEN ONES. There is also a giveaway for three eBook copies of NATURALS (International) running throughout the tour! We cannot wait for the beginning of the tour for NATURALS. The reviews are going to rock! Fiktshun | 1:29 PM | Balzer + Bray | Elizabeth Norris | HarperTeen | Tour Announcement | Unbreakable Please comment! Hey everyone! Oh my gosh we are so excited to announce the upcoming tour for Elizabeth Norris' UNBREAKABLE which will be coming in April! UNBREAKABLE is the second book in the author's UNRAVELING duology. The tour will run for two weeks - April 15th through 19th and April 22nd through 26th. There will be one stop per day, and the tour will consist of reviews, guest posts and interviews. 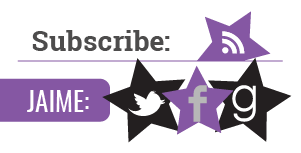 The bloggers who are chosen as hosts will be required to come up with guest post topics and interview questions as soon as possible after notification. There will also be an awesome giveaway, with a prize pack and individual books (US only) shared across all tour stops via a common Rafflecopter. 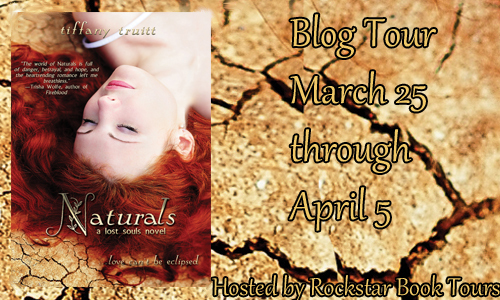 Jaime | 3:32 PM | A Lost Souls Novel | blog tour | Chosen Ones | Entangled Teen | Giveaway | Naturals | Tiffany Truitt Please comment! Hey everyone! We are totally stoked to announce a blog tour we're doing for Tiffany Truitt's NATURALS, the sequel to the amazing CHOSEN ONES from this Entangled Teen author! This tour is a REVIEW ONLY tour that will run from March 25th through April 5th (Monday-Friday only) and will have two stops per day. No weekend posts. 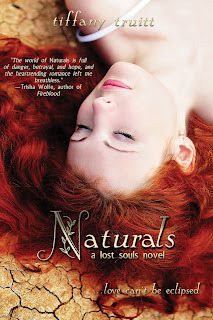 There will be a giveaway for three eBook's of NATURALS courtesy of Entangled Teen, via a common Rafflecopter form that will be hosted across all the stops. 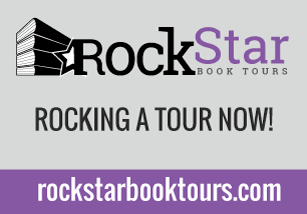 Please don't sign up for this tour just to get a free copy of the book. 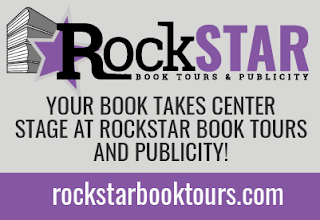 A "no review" or missed stop without advance notification/explanation will result in being removed as a potential tour host at Rockstar Book Tours. If you have not read CHOSEN ONES (Book 1), you will have the option of reading and reviewing that book instead. Reviews will be expected to be posted on your scheduled day no later than 10 a.m. Eastern. If you do not like the book, or plan to post a 3 star review or below, please contact us and we will remove you from the tour. Advance notice of your intent not to review for this reason will not affect your status as a host. Of course you are welcome to post your reviews once the tour has ended! NATURALS is Tiffany Truitt's second book she has also written Chosen Ones if you'd like to check that one out , CLICK HERE.